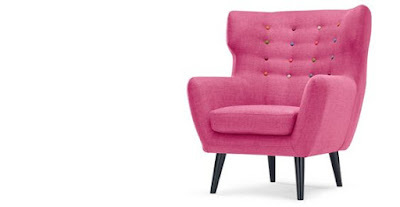 For any room to add some colour, drama or just make a statement …….. A chair is not only practical but it can introduce a new colour or some texture to your room. 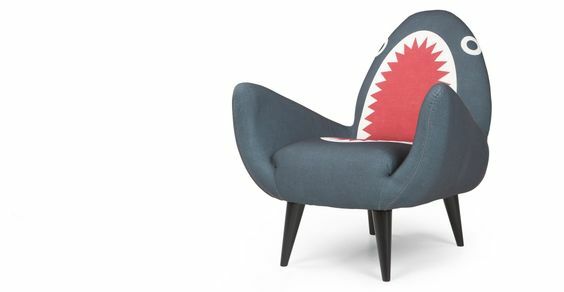 We love the diversity of chairs around from Rodnik Shark Fin or the Moooi Cocktail Chair with its sleek curves. 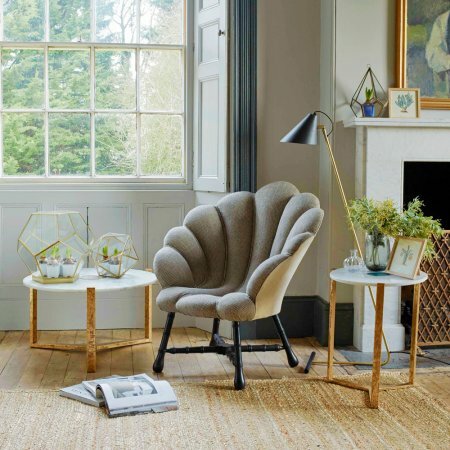 Featuring a classic Scandinavian design, the Fly chair does not impose any particular posture onto the sitter and the seat itself is optimised for comfort with feather cushions that can be arranged according to your needs.Hand built from a solid oak and oak veneer frame using traditional woodworking techniques, this unique chair is treated with smoked oil, allowing the chair to age with grace and style.Featuring a slatted back rest, a curved smooth base and Mid Century inspired legs, the Fly chair is upholstered with a contrasting blue velvet that provides a sumptuous lounging experience. Designed by Moooi co-founder, Marcel Wanders, the Cocktail Chair will be a significant addition to your living area or lounge. The chair features a steel frame with subtle curves while it is finished with four curved oak legs. 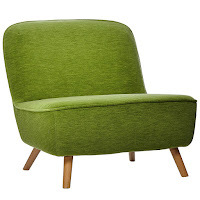 The Cocktail Chair combines the airiness of your favourite cocktail with Dutch historical heritage to produce an eye-catching furniture piece. 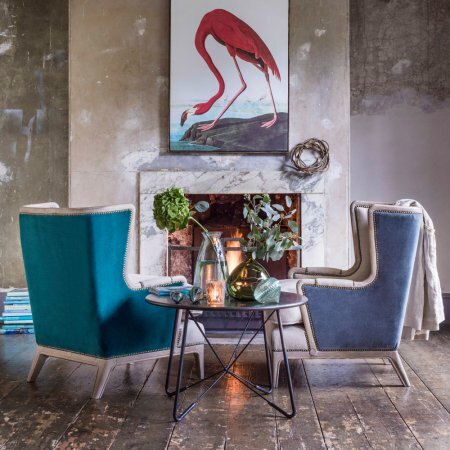 The Duresta Carnaby is a mid-century inspired range, classically tailored in sumptuous British woven cotton velvet with slender sweeping arms and elegant brass tipped legs. 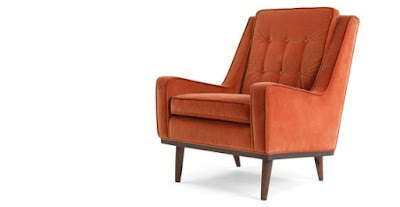 It will bring a touch of boutique style for a luxurious addition to your home. Make a sartorial splash with this oceanic accent chair. 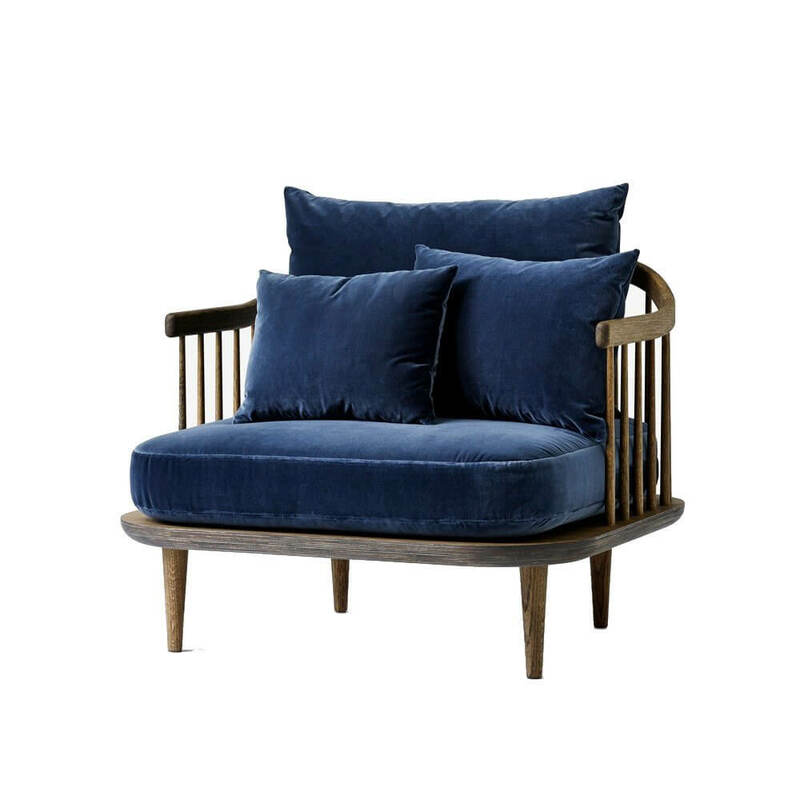 Inspired by iconic Art Deco styling, a sculptural clam shell design is upholstered in contrasting charcoal & natural stripe linen and backed in natural linen. Dark carved-wood legs add the perfect finishing touch. Emulating French elegance, these Valentin Armchairs are traditional pieces available in rich teal and soft grey. 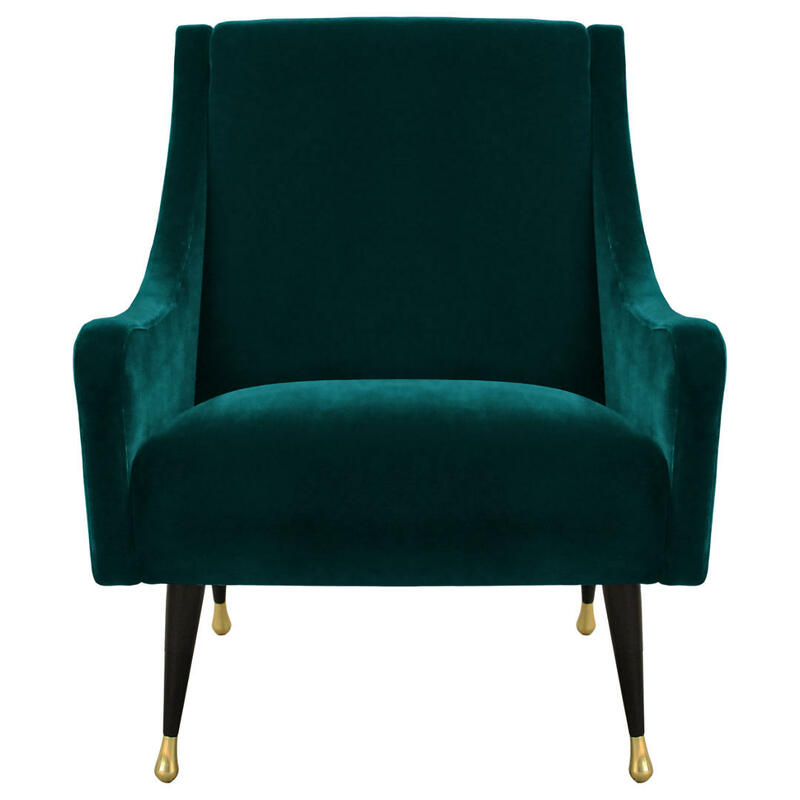 The natural coloured upholstery will complement any interior, whilst the luxurious velvet backing offers a touch of individual style. 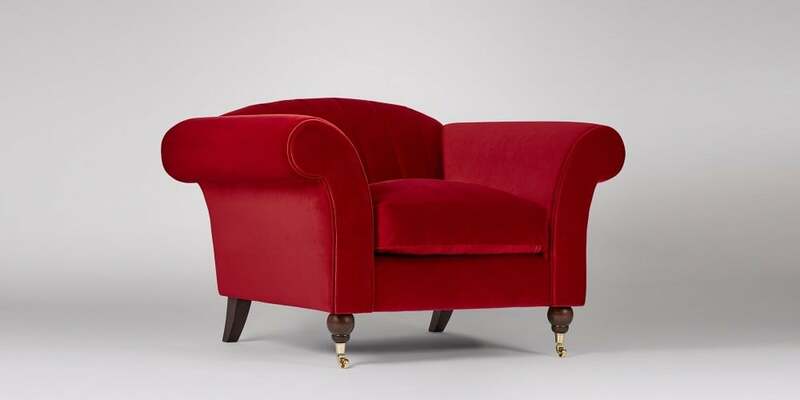 Providing purpose and detailing, rivet fixing decorates the mango wood frame and upholstered arms offer comfort whilst you relax with the Sunday newspaper. The Daborn black and white geometric fabric armchair adds punchy pattern to a scheme and provides the perfect foil to strong, block colours. 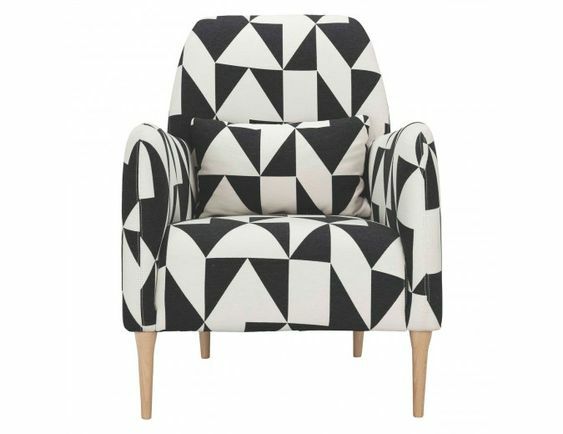 Exclusive to Habitat, the armchair combines a classic high back with contemporary clean lines in a design that is both elegant and comfortable. This range was created especially for Made by fashion designer Philip Colbert. Like the pieces on his own label, it blends pop-art, fashion and culture. With curved lines and angled legs - a 60s inspired take on the wing back chair. With multi-colour buttons for a playful finish.